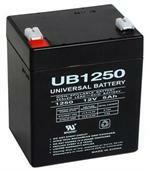 The UB6120ZH is a 6-volt 12 Amp-hour sealed-lead rechargeable battery. SIze: 5 7/8" long x 3 3/4" tall x 1 15/16" thick. Weighs 4.25 lbs. 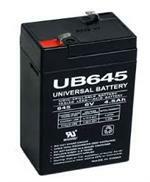 Storefront pickup price is $22.95; for shipping, $ 3 extra is added to price to cover addition freight chg.